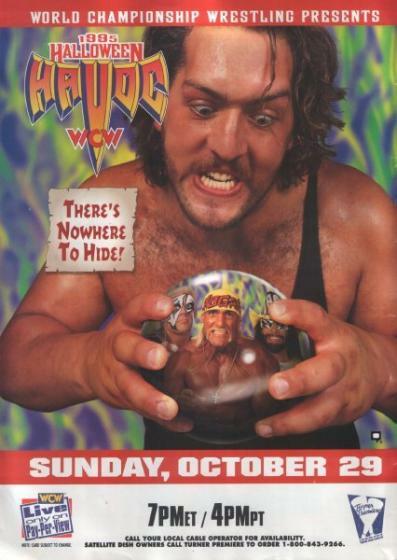 WCW Halloween Havoc 1995. . Wallpaper and background images in the World Championship Wrestling club tagged: photo. This World Championship Wrestling photo contains anime, comic, manga, cartoon, comic buch, karikatur, and comics. There might also be zeitung, papier, magazin, tabloid, rag, zeitschrift, lappen, boulevard, dosenfleisch, fleischkonserven, verzinnt, and fleisch.